Picture yourself the day after pulling an all-nighter: You can’t concentrate on anything and you’re wishing that the day would end soon so you can retire to bed ASAP. Now, imagine being in this state for days, weeks or even months. One thing is for certain: Insomnia can lead to adverse side effects on both your mind and body. Lack of quality sleep can make you prone to accidents, impairs your mental faculties, affects your sexual performance and drive, makes you gain weight, and makes you susceptible to diseases like stroke, heart disease and diabetes. If you have tried self-help tricks before to cure your insomnia and get better sleep, it might be tempting for you to opt for the quick fix in the form of sleeping pills. But there’s a better way. 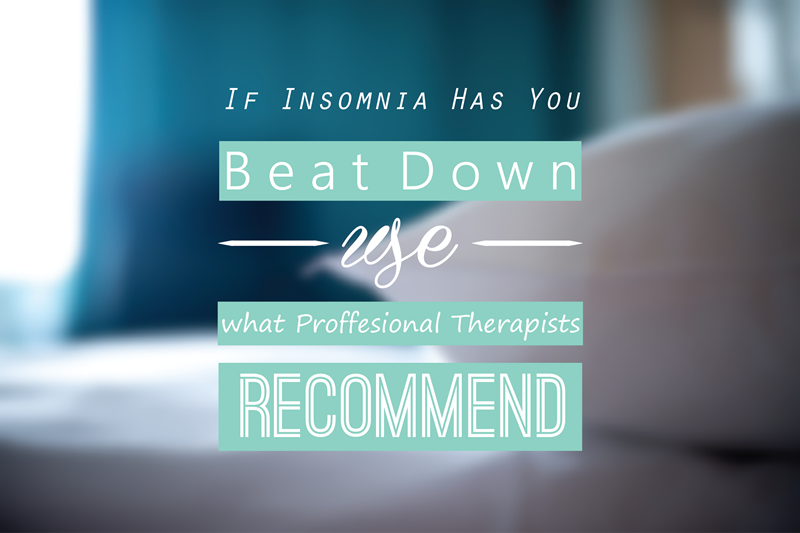 One treatment therapists recommend for insomnia sufferers is Cognitive Behavioral Therapy or CBTi. In CBTi, patients are taught techniques that help them overcome mental factors and negative emotions that hinder them from getting restful sleep. The treatment focuses on the patient’s habits and behaviors, the modification of which can bring about a good night’s rest. More often than not, insomniacs have difficulty achieving quality sleep because their minds are constantly racing and are in a state of stress and anxiety. Apart from that, patients who undergo CBTi are taught how to establish a predictable sleep pattern—something many insomniacs sorely lack. Depending on your unique circumstances, your therapist may complement CBTi with other techniques like stimulus control, sleep restriction, sleep hygiene, relaxation and biofeedback. As these two crucial areas are addressed, patients can expect improvements not only in their sleep, but also in their waking lives (which is equally important). It should be noted that although CBTi is effective in curing insomnia, it is not an easy fix. Compared to sleeping pills, you have to invest ample time and effort toward the therapy in order to achieve the best results. The therapy’s main advantage over sleeping pills is that it does not carry the same long-term risks associated with medications. Indeed, there are instances wherein sleeping pills can be helpful, like when you are under too much stress or when you are grieving the loss of a loved one. However, sleep medications are not your best bet for long-term relief from insomnia. If you do not want to become dependent on medications and if you want to solve your sleeping problems by going straight to the cause, CBTi is your best bet.